2006 (?) 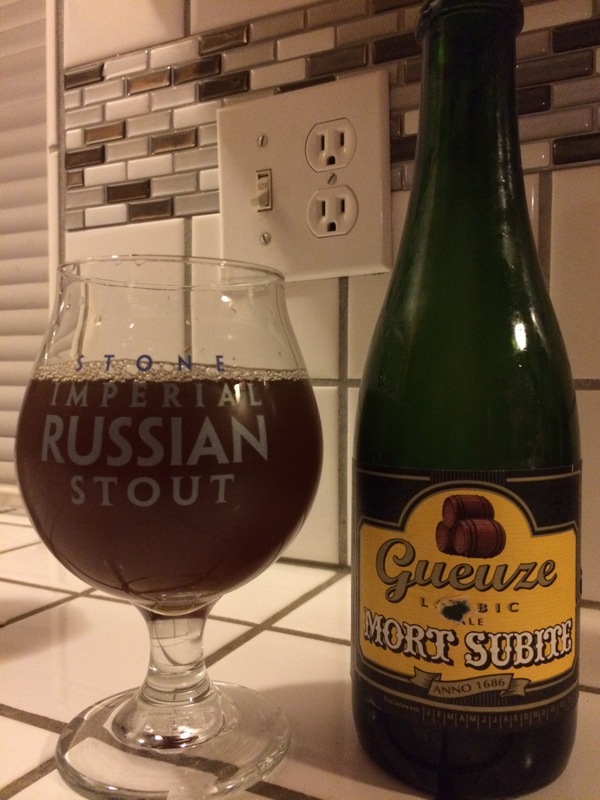 Mort Subite Gueuze, dat copper srm and more oxy than a prep school cheerleader. Man some times you trade for some old beers and just roll them dusty dice. This is the old oxidized snake eyes through and through. Man this popped without any pageantry then just sat there looking like Everglades pond water. Or Mexican tap water. Or yoohoo. The nose is gross like diacetyl, movie popcorn, green apple suckers and butyric acid finish. The taste isn’t as bad but it certainly isn’t good, it is tart and kinda greasy in the mouthfeel, and closes with this stomach bile and this odd Brett aspect.